sliver holographic hex glitters and holographic sliver micro slices. Best in two or three coats. A cranberry satin matte polish with a subtle pink and gold shimmer. This polish with its blue undertones is one that will work on many skin tones. Best in two coats. A white crelly polish loaded with fuchsia, gold, and orange glitters. Micro bars accent the fall pallet of this polish. Best in three coats, or two coats over white. 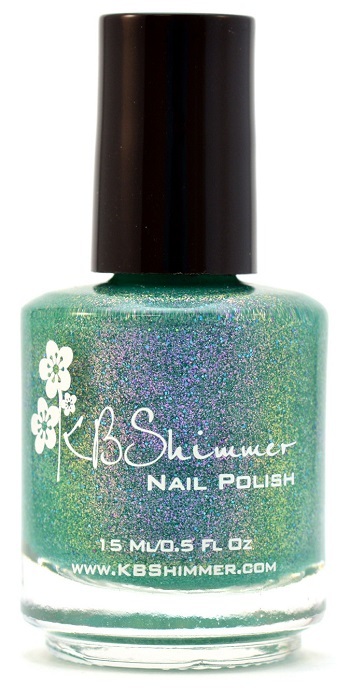 A dusty teal green polish with a strong pink almost duo-chrome shimmer. A color I imagine would be on a mermaid’s tail. Best in two coats. 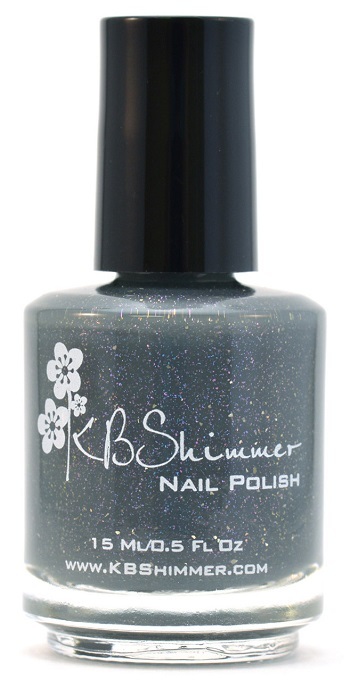 A satin matte finish slate gray polish inspired by storm clouds. 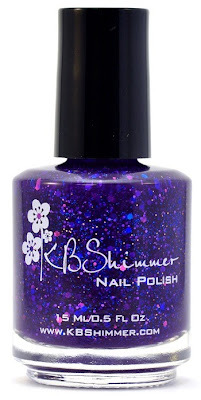 Silver flakes are surrounded by micro blue and fuchsia sparks inspired by lightning and rain. Best in two coats. 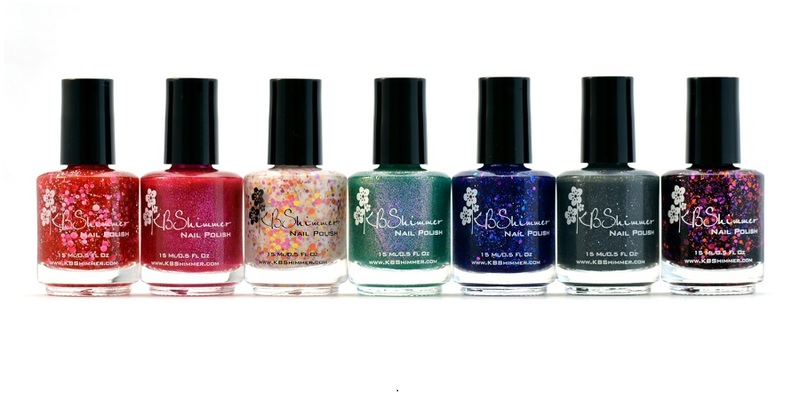 This Halloween polish is one that you will wear year round. A black jelly sparkles with glitters in grape, berry and orange for a polish even a witch would love. Best in two coats over black or three coats alone. purple, with a hint of copper. Best in two coats. 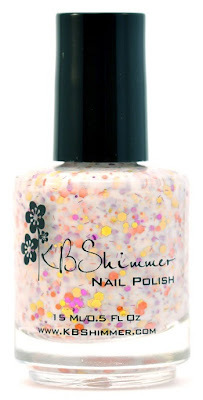 KBShimmer products can be found at Http://www.KBShimmer.com. For sales outside of the US visit http://www.HarlowandCo.org.